Connect using screen share, integrated audio conferencing, high-definition video, multimedia presentations — all without struggling with software downloads, installations, or latency. ClearSlide offers the most engaging and interactive screen sharing experience powered by the highest quality audio, video, online presentation, and secure technology. Whether you are hosting an instant meeting or scheduling in advance, participants simply jump on your customized link to start the meeting. With full access to the approved content library (and recommendations on specific content front & center), users can seamless switch between slides, streaming audio or video, or screen-sharing for interactive websites, content, or demos. Keep presentations moving and easily switch between slides, screensharing, or rich media seamlessly to address questions. 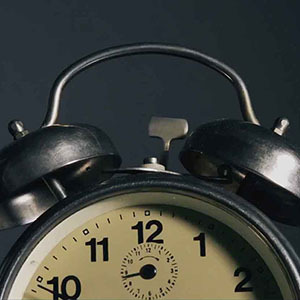 Participants see your screen in real time without latency or technical glitches. You can see when participants are engaged and focused on the presentation at hand (or distracted and navigating to different screens). After the meeting, meeting details and analytics can be automatically-logged back to CRM. Create your own personal URL, your own dedicated online meeting room. Ask viewers to simply “jump on your link” to instantly start meetings, share your screen, and present the richest content. 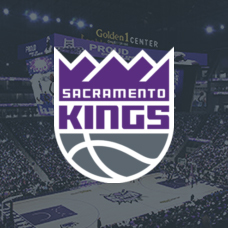 Additionally, you can capture attendee details for future analytics by leveraging the roll call functionality (participation by new and existing contacts will be auto-logged directly into CRM). Within online meetings, you can access real-time analytics on whether viewers are following-along or moving to different screens. Adjust your message, content, and questions to re-engage your viewers when they are distracted. After the meeting, analytics capture meeting details – who attended, meeting duration, what content was covered, and whether participants were engaged. Activity and engagement analytics are all auto-logged to CRM – saving sales and service reps hours in manually entering information into CRM. Tailor your follow-ups based on each viewer’s engagement analytics. Review slide-by-slide, second-by-second analytics by viewer to better understand their needs and interests. Instantly start or schedule meetings from anywhere – your browser, email inbox, CRM, or Mobile Apps. 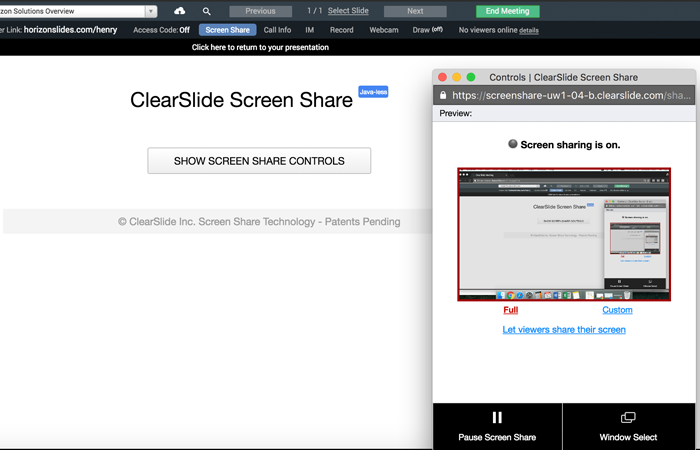 ClearSlide’s browser-based app does not require downloads, plugins, or complicated logins. Presenters can move between presentations in the content library, web screenshare, audio, and video while viewers enjoy a seamless, hassle-free experience. Low latency and high frame rates ensure the highest quality screen-sharing. 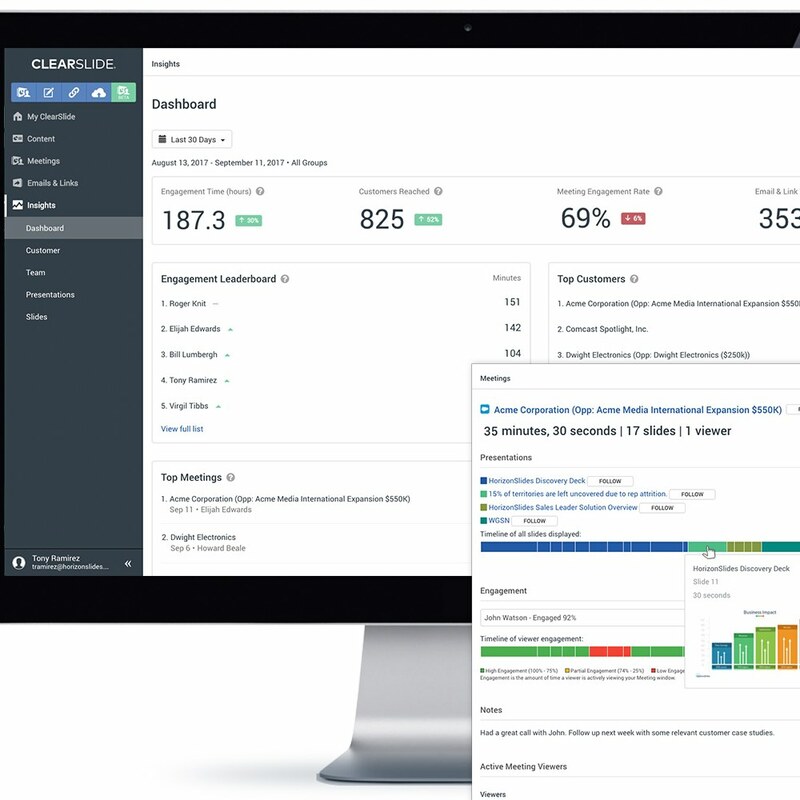 More importantly, ClearSlide is tailored for the use cases and needs of marketing, sales, and service teams. Whether it’s an online training or remote trouble-shooting session via screen-share, ClearSlide is tailored for interacting with your customers and buyers. You can share just a single window or your entire desktop. You can pass control of the presentation to another member of your team – or even a participant – for screen-sharing or presenting. Only share the content that is relevant for your audience. Eliminate redundant and clunky software for screen-sharing, conferencing, and content storage with an integrated platform that combines sales content management, cross-channel communications, and customer engagement analytics. 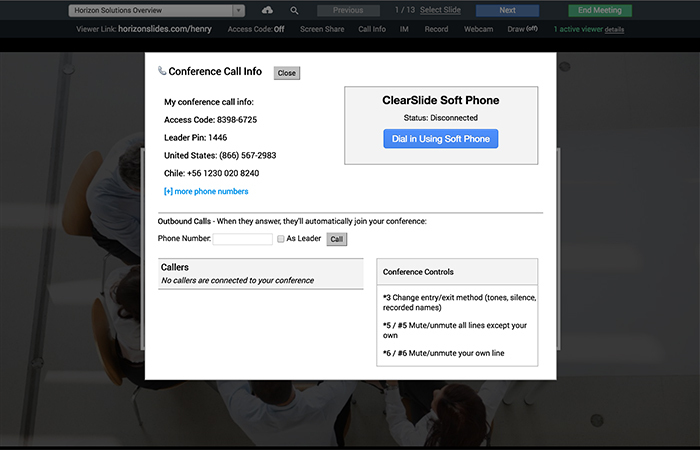 ClearSlide provides all of the communication features of the separate tools that you currently use – email, screen-sharing software, online conferencing, video – in a single, intuitive platform that also delivers seamless access to content – and the most actionable insights. Provide your meeting attendees your personalized URL, conference number, and access code – and they can easily join from their phone or computer. 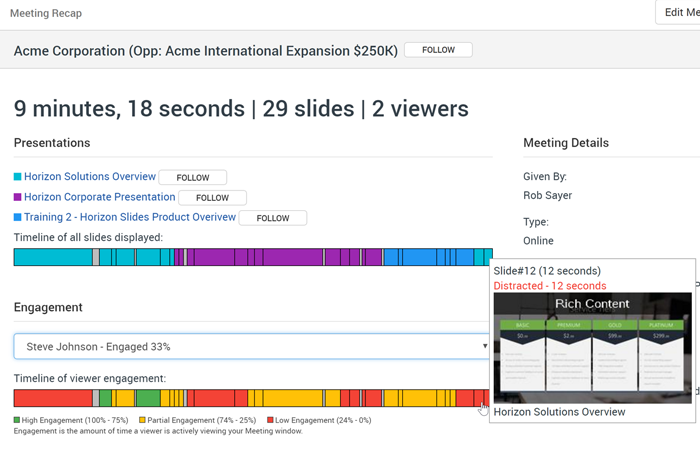 With a single click, you can also record meetings to capture the complete online meeting – presentation slides, screenshare, as well as questions and interactions with meeting participants. Recordings can be shared with your customers (i.e., recordings of training sessions) or internally (to ensure knowledge transfer within an account team). Recordings enable sales leaders to scale and virtually participate in customer meetings. Provide day to day coaching based on rep proficiencies or skill gaps, or compile best practice recordings to support on-boarding and training efforts. ClearSlide provides a single sales hub for all sales content – rich content, email templates, video libraries, and integrations into other cloud storage repositories. Guide sellers through the sales process by surfacing approved and promoted content in context. Organize content based on your sales process (create rules to map recommended content to sales stage, role, industry, etc.). Reps only see the content that is relevant for their role and buyer needs. 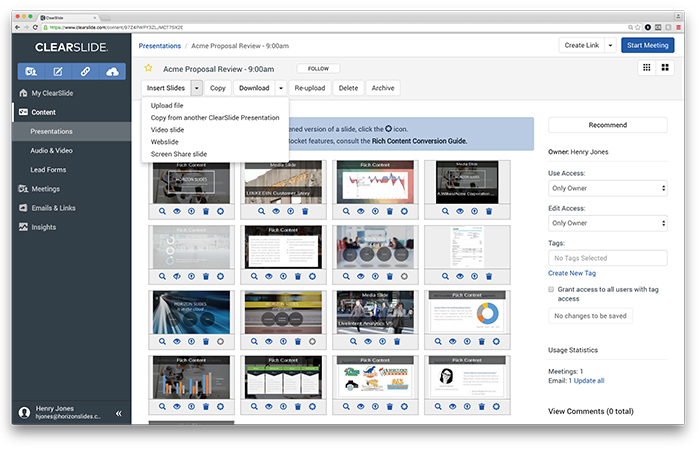 With support for all file types, combine different media into a single presentation that includes interactive slides, web-based content, and videos. Rich, multi-media support means that presentations can even script exactly when reps should share their screen to demo or use interactive tools or websites – to ensure that your value proposition comes to life in every online meeting and you deliver an amazing sales experience. For added security to control content access, you can enable access codes for participants to enter before they can view your presentation or your screen. Organizations can also leverage advanced security and compliance features to automatically record meeting details or record meetings, or mandate use of access codes.